I love Copenhagen. It’s a city enveloped in creativity, culture and unpretentious coolness. It celebrates all things ‘hygge’, a Danish concept that describes a particular feeling of cosiness, of warmth, of living simply and enjoying the good things in life. Copenhagen comes alive when the sun is out. Music can be heard in every corner, people flock out to drink their beers by the canals and friends happily ride their bikes side by side. These are some of the pics I took one fine spring day in the city. My favorite photo from the set. 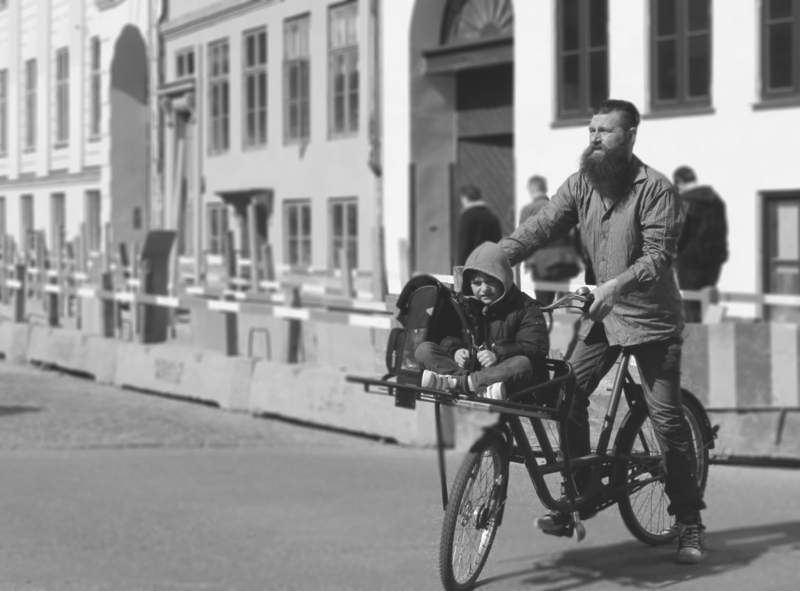 Random daddy with that hip lumberjack beard and a kid on the bike. Can’t get any more Copenhagen than this, don’t you think? Local lore has it that the lur blowers will sound their horns when a virgin walks past. Charming alleys. On this very street, Jacobsen brewed his first lager. I am yet to try this bike share system. Yes,that’s a PC tablet for GPS, train schedules etc. Cool stuff! It looks very colorful and I like seeing all of the bicycles..